While the simultaneous actions by CBI, ED and Income Tax department have certainly landed the Grand Alliance government in crisis different parties are now busy assessing the latest developments in terms of political gains and losses. In short term the BJP appears to be in a win-win situation as any split in the Grand Alliance is bound to help it in the days to come. Much would depend on the political maturity of the leaders of JD(U) and RJD. But the biggest irony of the recent developments is that it has given a new lease of life to beleaguered Rashtriya Janata Dal. Tejashwi Prasad Yadav, on whose shoulders the post of deputy chief minister was thrust, has by default emerged as the leader of his party. But the whole scenario changed after July 7 early morning raids. 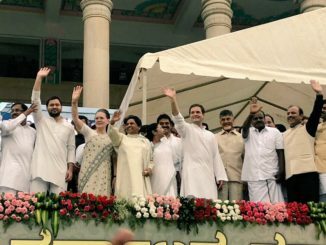 Not only the dormant RJD rank and file reacted strongly to any demand of Tejashwi’s resignation, even several senior JD(U) leaders, especially belonging to the Backward and Scheduled Castes spoke in a similar vein. This was evident on July 11 meeting forcing Nitish Kumar to temporarily drop the idea of removing his deputy. Bijendra Prasad Yadav, the oldest Yadav minister in JD(U), alerted the chief minister not to do anything in haste. A couple of other Yadav JD(U) legislators were quite vocal in opposing the demand of resignation. Needless to say the Yadav legislators of RJD are, in particular, in a more aggressive mood. 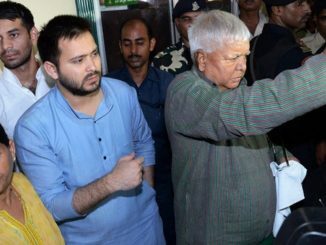 The problem for the BJP is that the raids against Tejashwi, and even for that matter Misa Bharati, failed to create a strong sentiment against them as it was against Lalu Prasad when the fodder scam was unearthed in 1996. By then Lalu was in power for six years and had made many enemies. 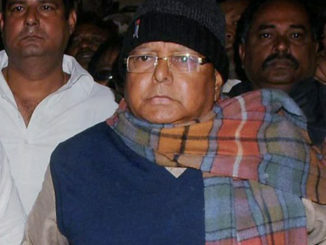 Leaders like Nitish Kumar and George Fernandes had left him in 1994. Courtesy Mandal factor he was not the darling of urban middle class. By 1996 even his Mandal supporters lost much of the zeal to go out of way to support him. In contrast there is no such strong antipathy among the general people for Tejashwi. In spite of dynastic factor there is a section of people who would appreciate his approach and style of functioning. He is not brash and offensive. Unlike the elder brother Tej Pratap, who is known more for his antics, there is little to suggest that there is widespread anger against him. There is no dearth of people even within the BJP rank and file who agree that when the alleged land deal was made he was a minor. Thus he managed to evoke a sort of sympathy. Besides, Tejashwi’s statement that prime minister Narendra Modi and BJP chief Amit Shah are misusing central government agencies because they are afraid of a 28 year old man sounds very pertinent. Political dividend notwithstanding, at present Tejashwi is in trouble. He is likely to be chargesheeted, forced to quit and even go to jail. But these are the processes through which a leader had to rightly or wrongly pass. After all both Modi and Amit Shah are product of such a process. While the BJP and RJD are busy counting net gains and losses in the first round of battle the JD(U) does not know how to cope with the situation. Nitish, who left Lalu’s party in 1994, that is much before the fodder scam was unearthed, joined hands with the RJD chief months after his conviction. So he can not take any moral high ground as his supporters and a section of media are doing. He is the chief minister who in February 2010 sacked his excise minister Jamshed Ashraf after a prominent Hindi daily published a story stating that the minister has written a letter to the CM calling for probe into the flourishing liquor mafia in the state. Instead of taking action against the mafia he threw the minister out. Six years later the same Nitish imposed total prohibition in Bihar. Politically too, Nitish has changed colour so frequently that one does not know what will be his next move. In 1995 his Samata Party contested in alliance with the CPI ML; between 1996 and 2013 his party was a constituent of the NDA. Then after the May 2014 Lok Sabha rout he quit and made a Mahadalit, Jitan Ram Manjhi, as the chief minister. He allegedly tried to rule from behind. The move backfired and Manjhi rebelled. Subsequently he was booted out. Suddenly he was reminded of the love of estranged ‘Bade Bhai’ Lalu Prasad. 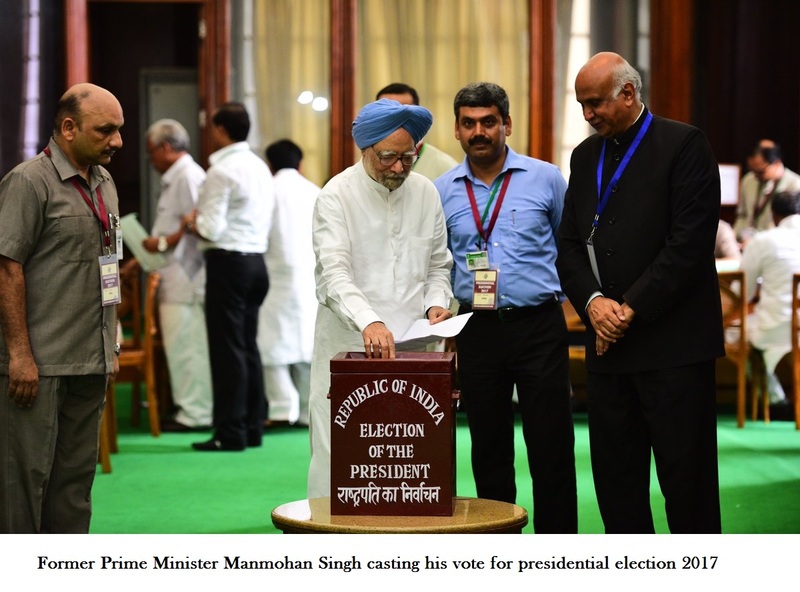 He supported Narendra Modi on demonetization and Presidential candidate, but backed UPA’s nominee for the Vice President. Today if he drops Tejashwi he is not going to be credited as he had already joined hands with his convicted father––not to mention his zeal to reach out to another convicted former CM, Haryana’s Om Prakash Chautala in Tihar Jail in the last week of March 2015. If he does not drop Tejashwi he would be under intense pressure from the BJP. If he returns to the NDA fold the situation will not be like between 2005 and 2013 when the saffron party was out of power and L K Advani had lost his touch. Any home-coming to Modi’s camp would be on the latter’s term. Soroor Ahmed is an author and a senior journalist based in Patna.